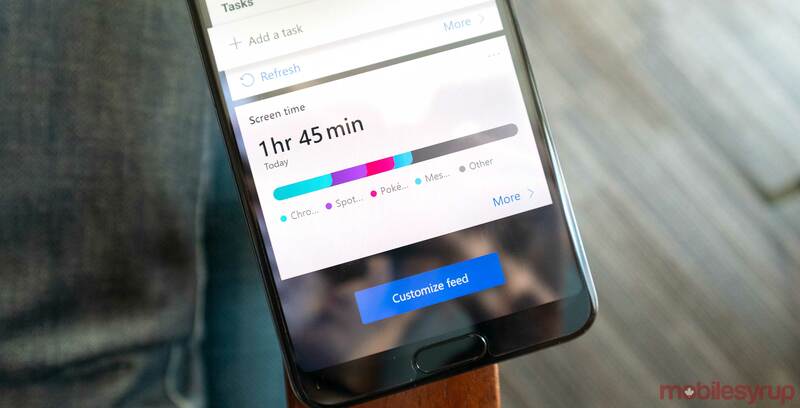 Users in the Microsoft Launcher beta program can use a screen tracking feature called ‘Screen Time’ that works similarly to Apple’s Screen Time and Google’s Digital Wellbeing. The feature tracks what apps you use and for how long. It also keeps count of how many times you’ve unlocked your device during the day. It’s not as powerful as Digital Wellbeing or Screen Time, but it does give users a clearer picture of how they’re using their device and what apps they might want to cut back on using. To see the new feature you need to navigate to the widgets panel and then scroll down until you see the Screen Time option. The first time you click on it, you must give the launcher access to your device’s system settings for it to function. The best part about this is as soon as you turn it on it has data for the last seven days already, so you can see what apps you use the most right away. The update also adds better cross-platform Notes support that integrates with Outlook, To-Do, OneNote and Sticky Notes on Windows. You can download the Microsoft Launcher on the Google Play Store. Alternatively, if you don’t want to fiddle with the beta, you can download the Microsoft Launcher version 5.1 APK.